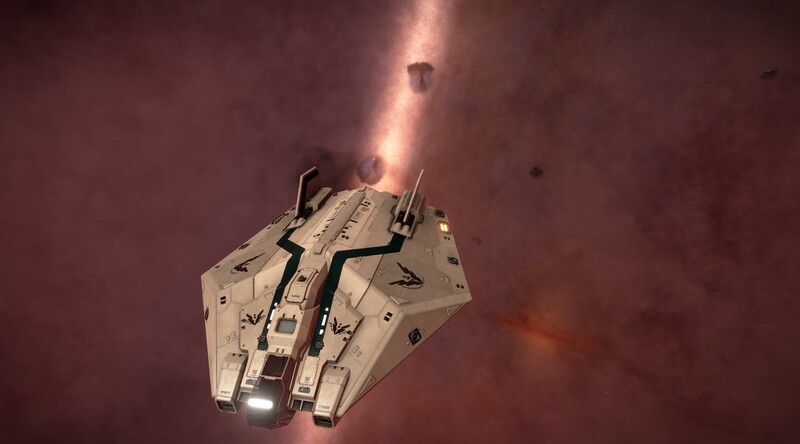 The MGF Voyager, piloted by CMDR MyGutFeeling, and accompanied by his loyal dog, Spit, have embarked upon a voyage to the Barnard's Loop Nebula and beyond. 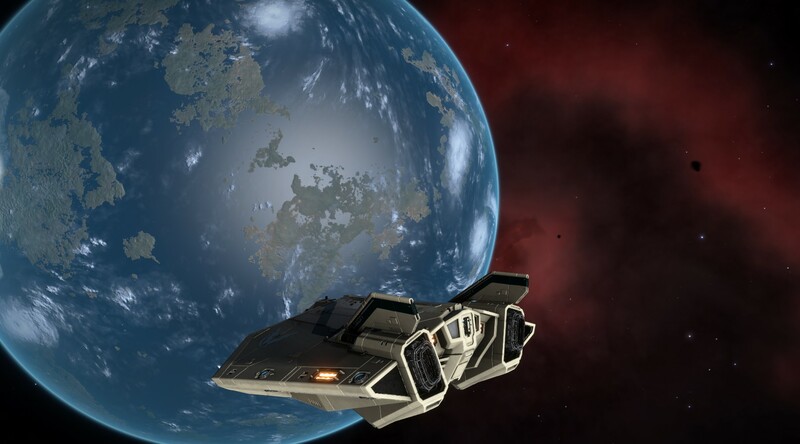 So far, their voyage has taken them through the Pleiades and Witch Head Nebula's. 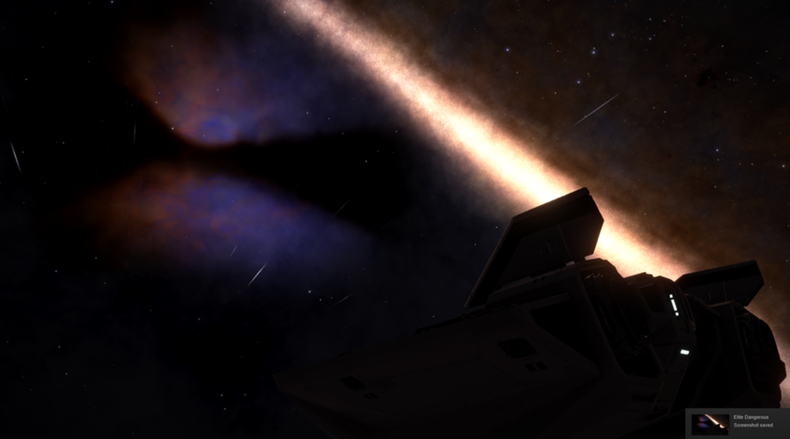 The MGF Voyager is currently enroute to waypoint NGC 1999 Nebula and CMDR MyGutFeeling took the opportunity to take a snapshot of the Witch Head Nebula whilst taking Spit on a space walk. 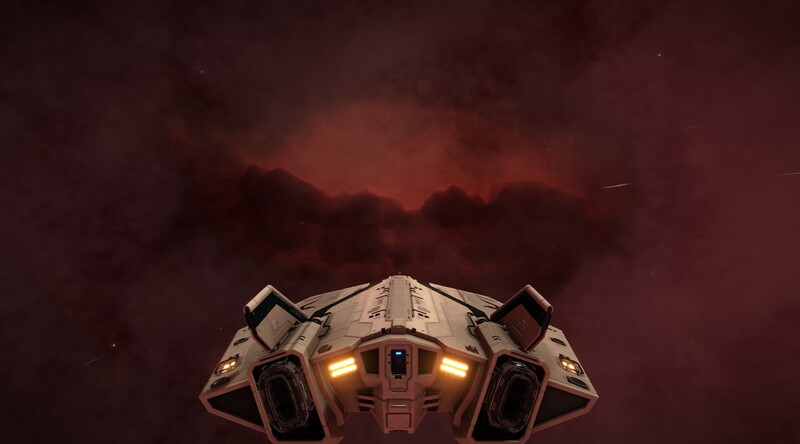 All agreed the Nebula looks nothing like a witches head. 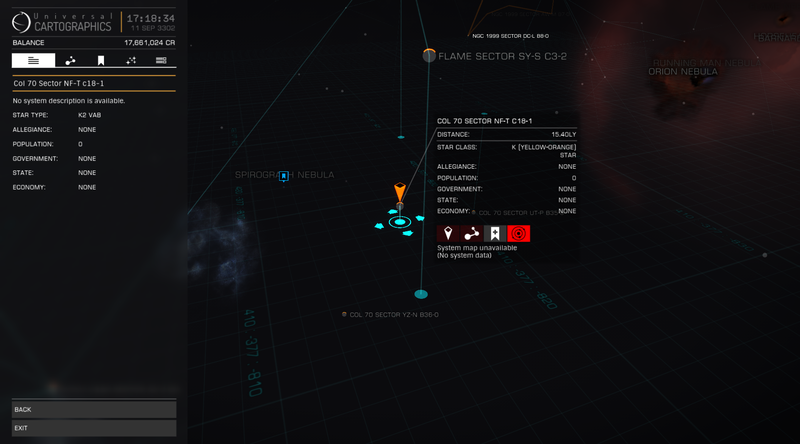 CMDR MyGutFeeling had heard, as of yet unconfirmed, rumours of alien civilisations being present in these sectors, so decided to stay well clear. They do however report they can progress no further, due to the Horsehead Nebula and surrounding systems being permit locked. They have embarked on a voyage back to civilised space, but promise to visit the Spirograph Nebula enroute. Due to the ships long range comms systems requiring calibration to send media to Selous Horizons, there are no images at this time. 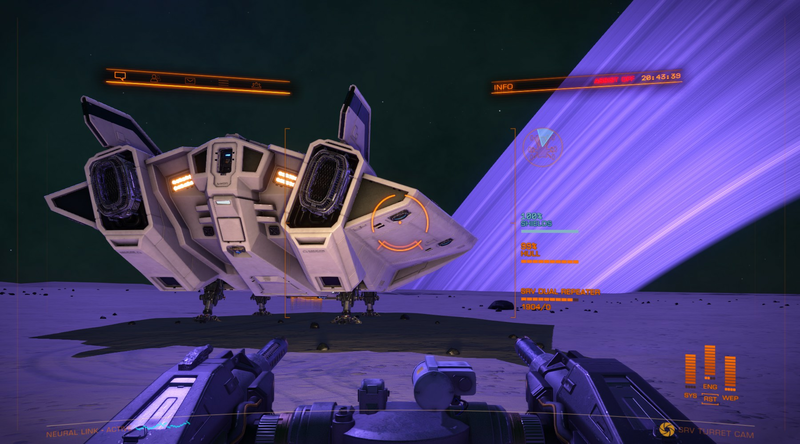 The CMDR had discovered canine like denture marks on the comms antennae dating roughly back to the first space walk. Companion Spit has since been consigned to the airlock for punishment. 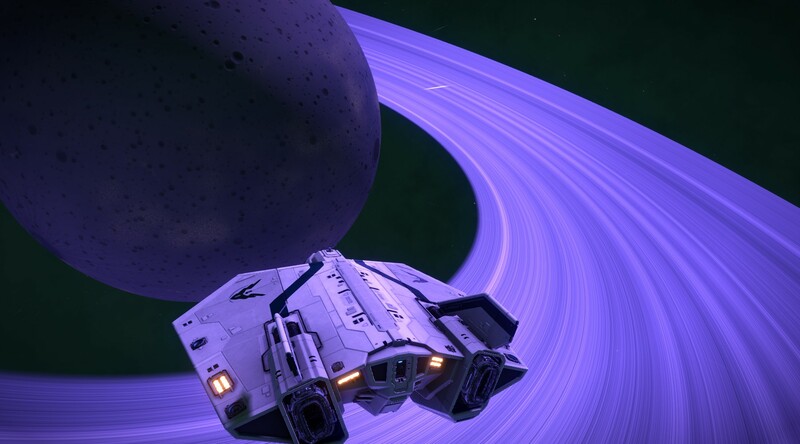 Was that ringed planet in the Spirograph Nebula landable? Yes it was...... 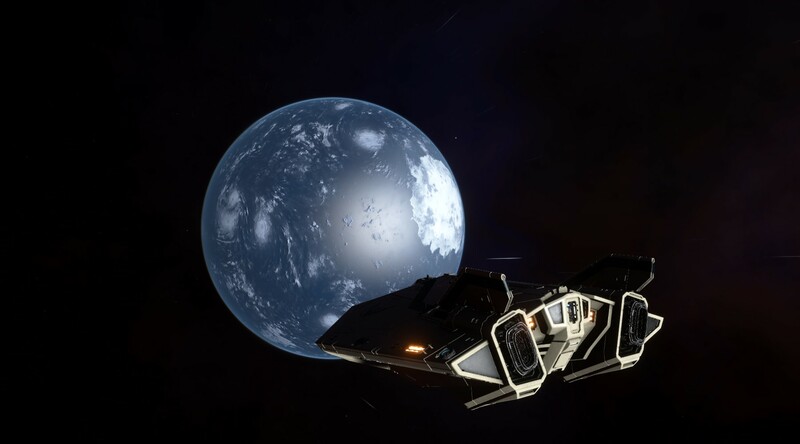 I think I may have another pic somewhere from the surface. I'll have a look when I get home.